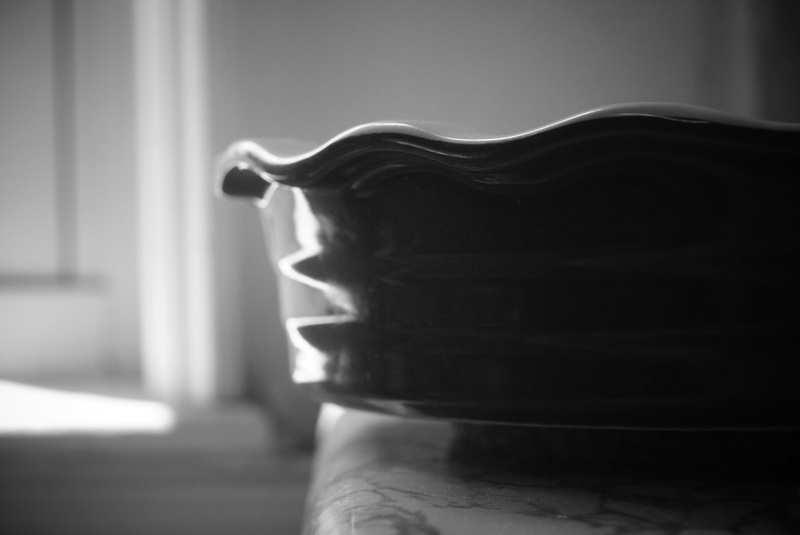 I have a friend who loves pie. The way people react to marriage proposals, winning the lottery, or receiving a new car from Oprah, Meg reacts that way at the sight of pie. Any pie, really, unless it has chocolate in it, but until she finds out there's chocolate in it, she's in love. 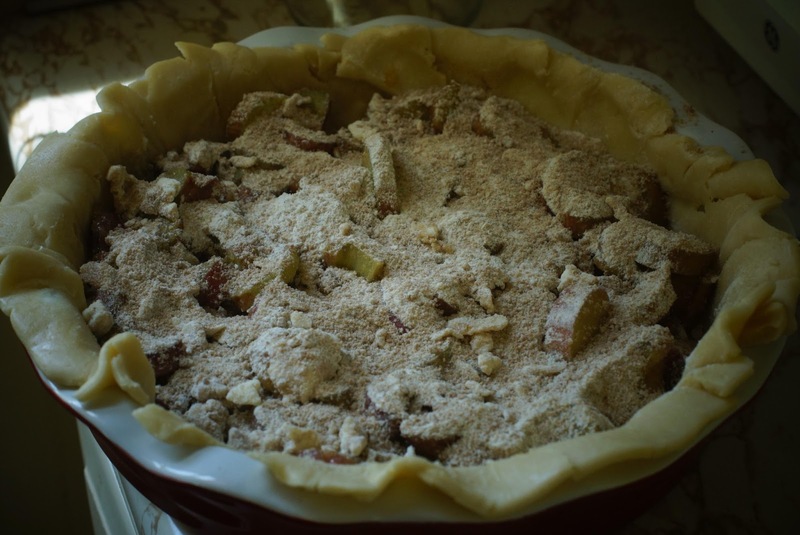 My main qualm with strawberry rhubarb pie recipes are the addition of gelatin or tapioca. It seems the whole point is to make a Jello-like consistency out of your fresh fruit, which, to me, is beside the point. 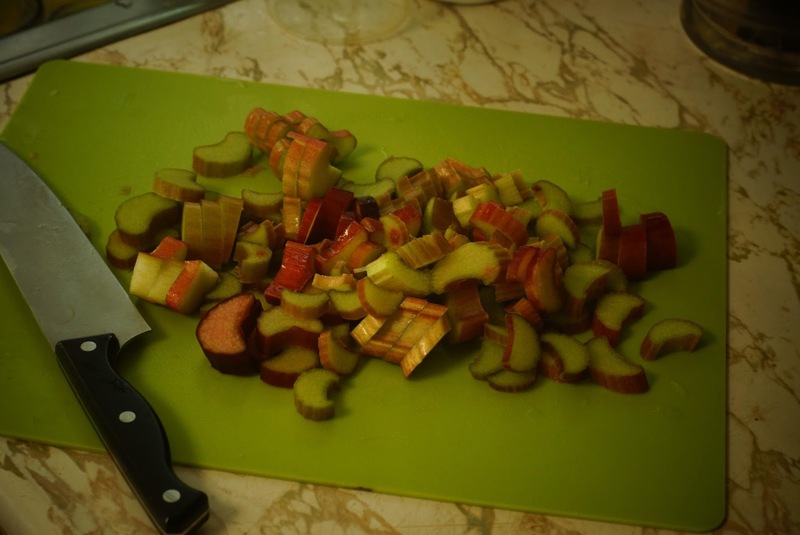 I'll eat preserves in the winter, but in the summer, I want fresh fruit swimming only with its own juices. 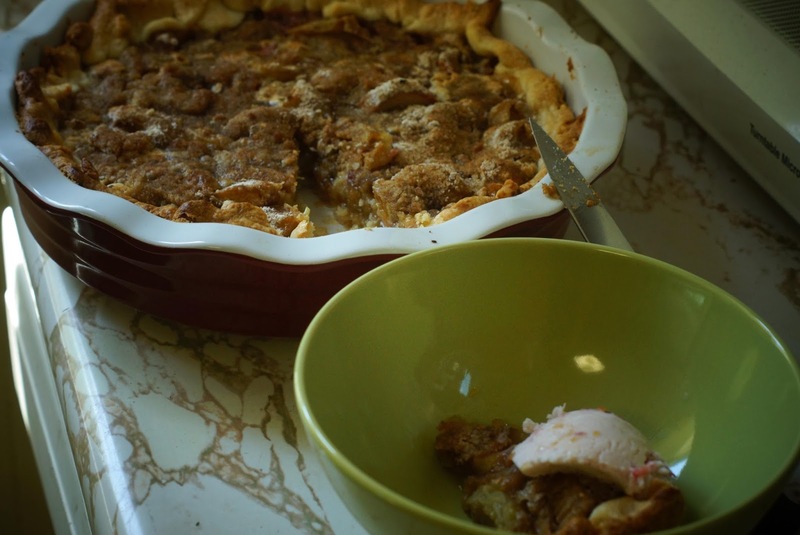 Luckily, with the onslaught of rhubarb recipes this past month, I was able to take my pick. 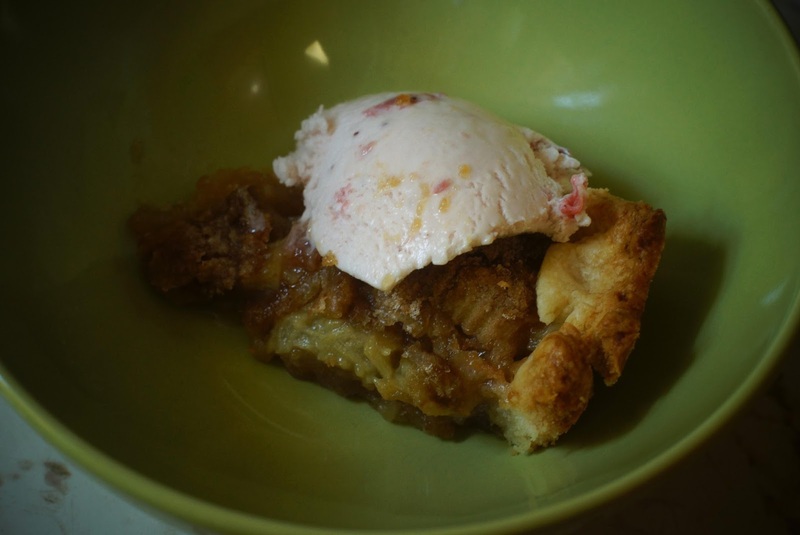 This rhubarb pie recipe from Curio Quilt was promising in its simplicity, and though it doesn't have strawberries in it, I have some strawberry ice cream to put on top. This is the filling's glue. 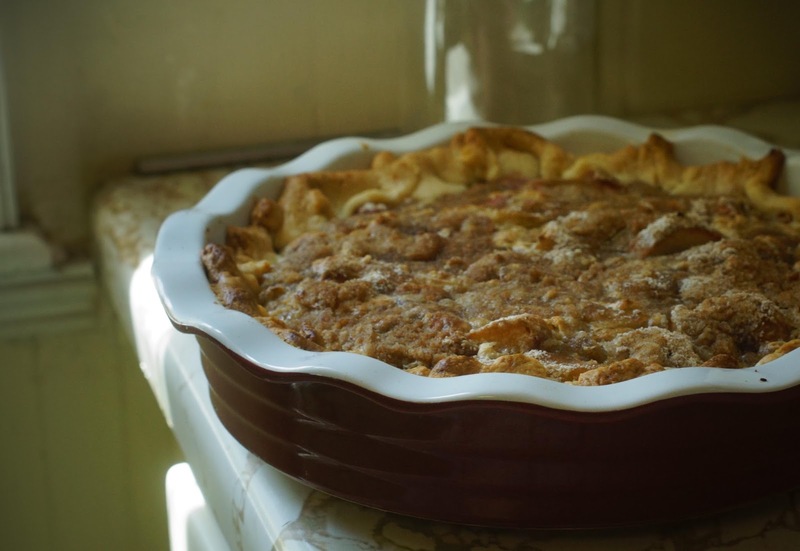 It's an egg, flour, and sugar. Drop the chopped rhubarb in that sticky mess and stir it up. 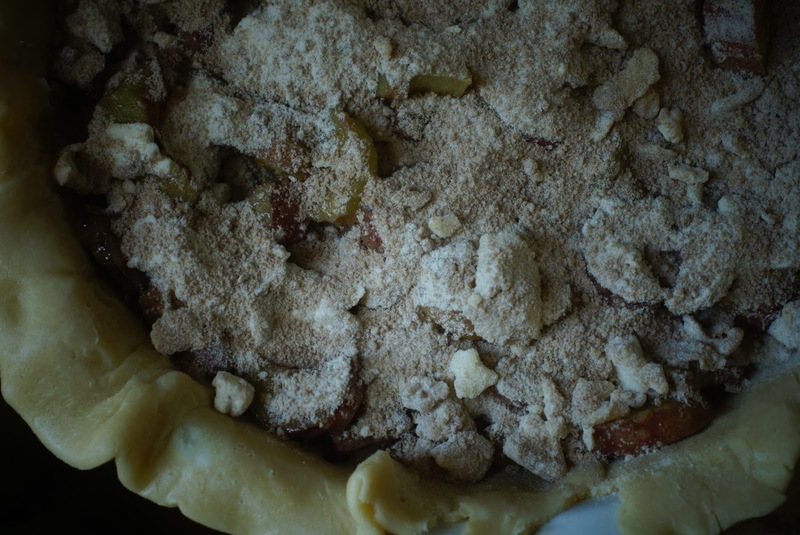 Lay out your filling in your prepared crust and top with brown sugar, flour, and butter. Seriously. That's it. 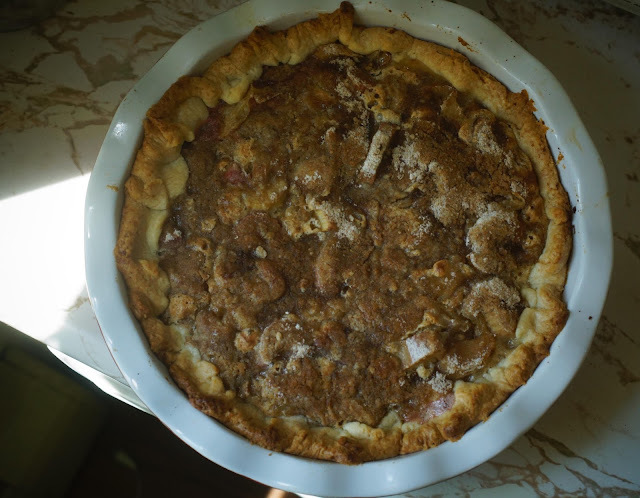 This pie is fool proof and a no-fuss way to use up that rhubarb side-eyeing you from the fridge. If you're afraid you'll miss the strawberries, throw some strawberry ice cream on top or just fresh strawberries. You can't go wrong. 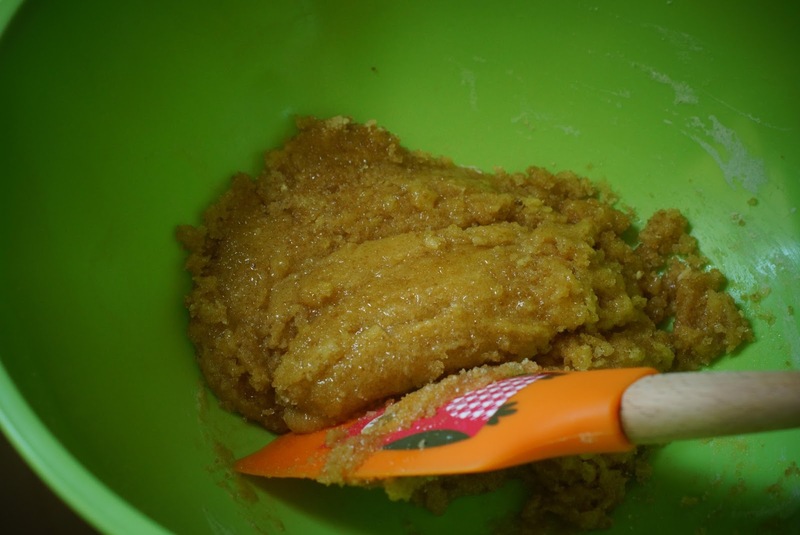 Beat the egg in a bowl then add the sugar and flour. 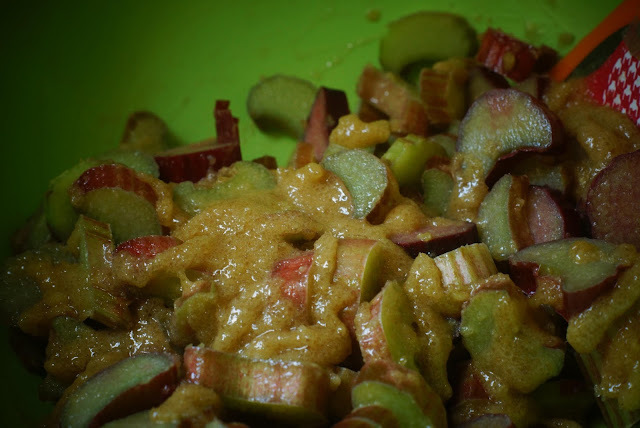 Once combined, mix in the rhubarb. Prepare your pie pan, placing your crust into the pan and cinching the edges. 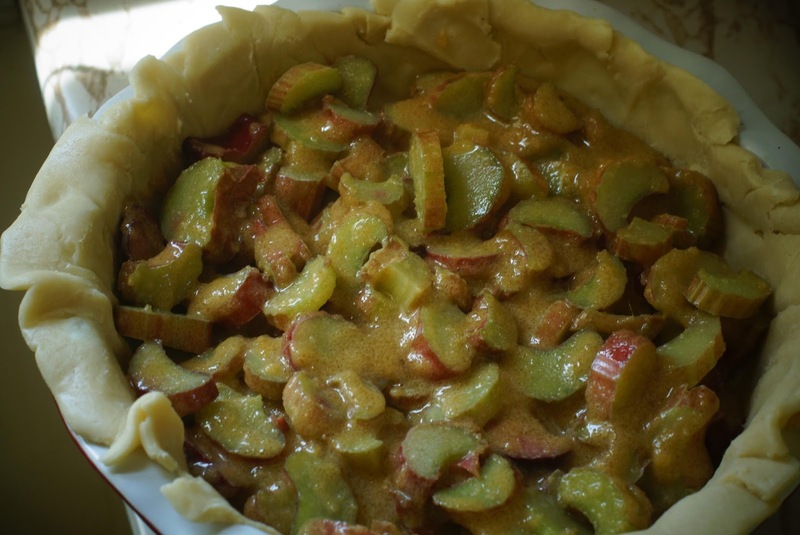 Spread the rhubarb mixture evenly over your crust. Sprinkle the crumb topping over the rhubarb and bake at 425 degrees Fahrenheit for 10 minutes, then reduce the heat to 350 and bake for 30-35 more minutes or until the crust is lightly brown and the filling set. Cool for 20 minutes before serving. Or, if we're being honest, cool for about five minutes before eating a piece with strawberry ice cream for lunch. 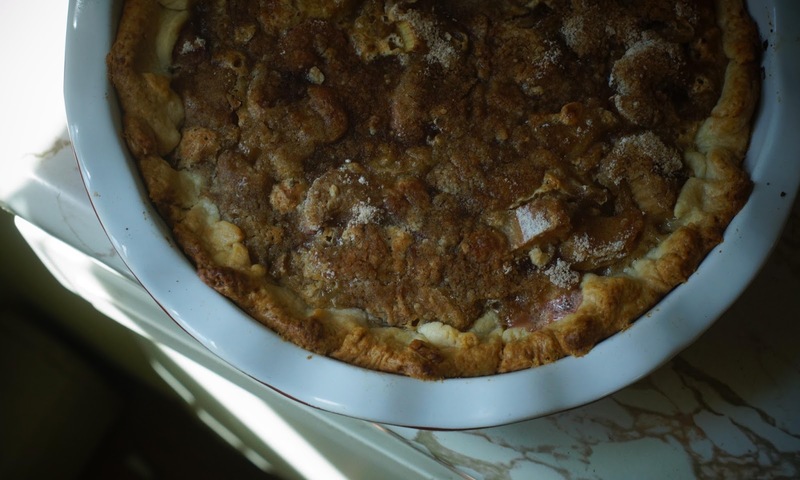 Be sure to send a picture to your pie-loving friend. 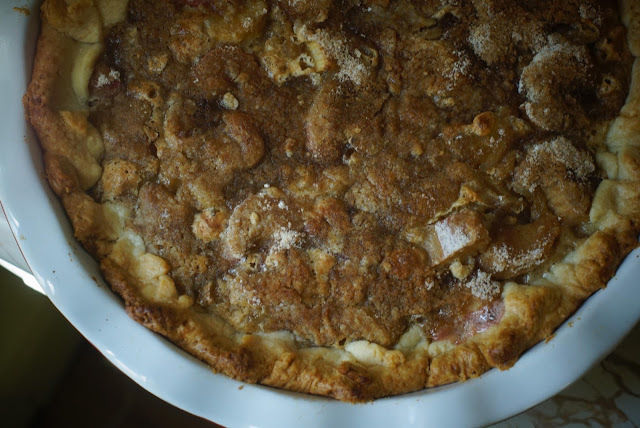 isn't rhubarb the best?! Thanks for reading. I'm excited to start reading your blog too!